What is Textile Printing Paste? In textile printing industry, a printing paste is prepared by dissolving the dyes in hot water to which is added a solvent and urea. This type of solution is stirred into a thickener that is easily removed by washing. Small amounts of oxidizing agents are added here. 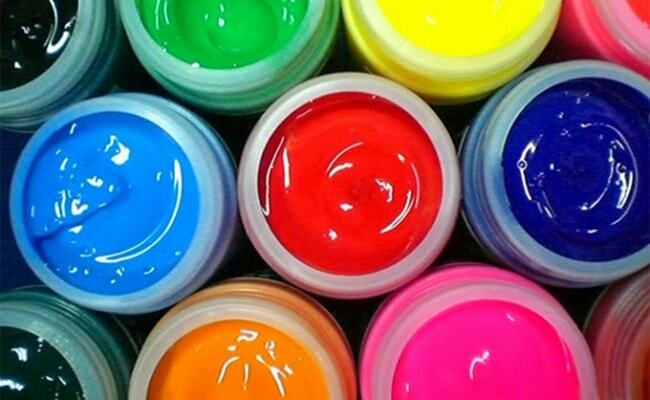 Printing pastes are prepared by using four main components such as the coloring matter used (dyes or pigments), the binding agent, the solvent, and the auxiliaries. The print paste stability, particularly on storage. Compatibility of thickeners with respect to the added dyes and chemicals is critical. This, anionic polymers are rarely compatible with and readily coagulate in the presence of cationic dyes or multivalent metal ions from hard water or added chemicals. The hydroxyl groups in most carbohydrate gums react with the reactive dyes. They are therefore excluded. Many print pastes contain naturally occurring thickening agents that provide nutrients for bacterial growth. Addition of some anti-bacterial preservative avoids bacterial contamination. The adhesion and flexibility of the printed paste film. The film of paste must not mark off onto a screen or roller printing another color. A film of reasonable flexibility and adhesion ensures that it can withstand the mechanical handling required for drying and steaming without flaking off the fabric. In those cases where the thickener or binder remains on the printed fabric, the film must be completely transparent and not cause undue stiffness of the fabric. The color yield of the printed area. During fixation, the dye must diffuse into the fibers from the film of paste that has swollen in the steam. This process depends on the thickener. Obviously, the dyes should have little or no substantivity for the polymeric thickening agent used. Dye diffusion into the fibers is easier from thin synthetic polymer films with low solids content. The color yield also depends on the extents of penetration of the print paste into the fabric structure. This is partly determined by the paste viscosity. The ease of removal of the residual film of paste remaining on the fabric after fixation. After printing, the film of residual thickening agent is usually washed from the fabric. The cost of the thickening agent. The cost of the thickener and the costs associated with its removal from the fabric should be as low as possible. The environmental impact of thickeners in the effluent leaving the print works. The large amounts of these chemicals in the effluent can significantly increase the BOD of the waste water.